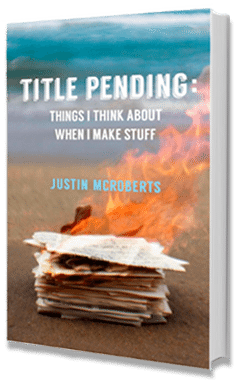 In Title Pending, Justin McRoberts shares stories and insights from his own creative journey. Since 1998, he’s been honing his craft on the road as a songwriter, speaker, author and an advocate. For the first time, Justin shares the disciplines of his own creative process and the principles that will help you in your next creative endeavor.